The Goshen Fire Company is looking for volunteers!! Consider helping your community by becoming a firefighter, EMT, fire police officer, auxiliary member, administrative member or assisting at fund raisers. Men and women 16 and older are invited. 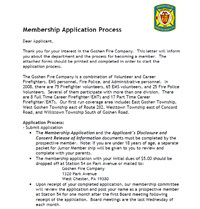 Goshen has a Junior firefighter and EMS program for ages 16-18, with your parent’s permission. If you ever want to set up a time to talk to someone about what we do, call us.. or stop by every Monday evening around 630pm. If you are interested, please call 610-430-1554 and leave a message for either the station captain (ext. 7) or EMS operations (ext. 4). 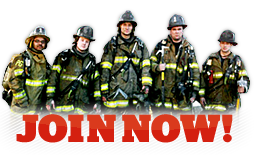 Become part of the few that help protect your community, and besides, if your neighbor’s house was on fire or a family member/friend is sick, wouldn’t YOU want to do more than watch? Interested? Please fill out the form below and an officer will contact you.